Has Kevin Rudd taken "a significant step forward on climate change"? Kevin Rudd's announced changes to the proposed Carbon Pollution Reduction Scheme has again split the climate movement, and this time it's very serious, with three large, rusted-on-to-Labor groups running cover for an appalling policy that won't guarantee a reduction in Australian emissions for decades. The re-worked proposals for the Carbon Pollution Reduction Scheme announced on 4 May by Australia Prime Minister Kevin Rudd were described by The Greens as "making the 'worse than useless' scheme even worse and giving another $2.2 billion to big polluters. It also fails on voluntary action" and has an "almost irrelevant green distraction of a hypothetical 25% target to undermine criticism". John Hepburn of Greenpeace said: "It's clear that Rudd has been listening to the big polluters and this is another shift towards the interests of polluters rather than climate action. We're rapidly running out of time and we'd like this scheme to go back to the drawing board until Kevin Rudd can stand up to the big polluters and take action in the interests of the Australian people." Friends of the Earth "criticised the raising of the government's hypothetical target range as an exercise in “smoke and mirrors”, aimed at hiding the further windfall for polluters." 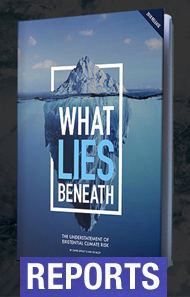 But the three climate advocacy groups that have acquiesced or actively supported the government's "clean coal" policies — ACF, the WWF and Climate Institute — again lined up to support Labor, together with the ACTU and ACOSS. Michelle Grattan in The Age noted that "the biggest concessions are the brown ones" and that "Kevin Rudd has stitched key groups in behind a revised emissions trading deal — both browner and greener than before — to put maximum pressure on Malcolm Turnbull". We have achieved a significant step forward on climate change. The Government has just announced that it will take on a target of reducing Australia’s emissions by 25% by 2020 in the context of a Copenhagen agreement that has the effect of stabilising emissions at 450ppm or lower. This is good step forward and the positives outweigh the negatives. However there’s a lot more to be done and we’ll keep pushing for our ask of 30 to 40% cuts. fails to deal adequately with the question of additionality / voluntary action. As Environment Victoria notes: "The fix to recognise household and business voluntary action through GreenPower is welcome, but the mechanism is awful. By only recognizing additional GreenPower purchases above 2009 levels the Government is guaranteeing the collapse of existing GreenPower customer purchases and therefore jeopardizing the whole program. Furthermore the Rudd Government has failed to recognise the benefit of all other types of voluntary emissions reductions or additional action, which, like GreenPower, can be accounted for." • will not, contrary to back-slapping comments by the ACTU, produce an avalanche of "green jobs" because it is not designed to close down the brown jobs. Instead of building a clean, renewable-energy economy and technological capacity, Australia will continue to stumble at the back of the pack. So why are some of the big climate advocacy groups so keen on this disaster? Is their public position supported by the evidence? Here's a look at the views expressed by ACF and others, and whether it is justifiable. ISSUE 1. Passing the CPRS is necessary for Australia to be credible at Copenhagen. No, quite the opposite. If there were no legislation, Australia's position would not be tied by law to Rudd's poor target and pressure would be maintained to catch up with the leading bunch. The targets in the proposed CPRS legislation are out of whack with the major players such as the UK, US and EU, who have agreed to unconditional cut emissions of 34-46%, 20% and 20-30% from 1990 levels respectively. Let's be honest, what happens at Copenhagen depends more than any other factor on what the G2 – the USA and China — strike by way of a climate deal, and what Australia puts in the table has little relevance to that. They are used to Australia behaving badly. ISSUE 2. If there is a reasonable outcome in Copenhagen, Australia will be committed to a 25% cut by 2020. As Adam Morton reported in The Age on 5 May: "Kevin Rudd says he now has an ambitious greenhouse target on the table for 2020. And he does: cutting emissions to 25 per cent below 2000 levels will require hard work across the economy. But we know the Government also thinks this almost certainly won't happen. Why? Because Penny Wong told us so in December. Ignore yesterday's spin about recent progress in international climate talks. The Government believes that a new deal won't meet the strict conditions it has put in place for Australia to sign up for a 25 per cent cut. If it is right — and there are plenty familiar with the climate talks who believe it is — Australia's ultimate target will be in the range it was before yesterday: between 5 and 15 per cent. No change, then." ISSUE 3. The CPRS can reduce Australia's emissions by 25% by 2020. This is complete bull, regardless of what happens at Copenhagen. By allowing an unlimited number of permits to be bought from overseas, through such dubious schemes as REDD and the CDM, the CPRS cannot guarantee that even one tonne of Australian emissions (as opposed to domestic permits) will be cut. The Treasury modelling assumes no drop in Australian emissions for another 25 years (see Tim Colebatch, "One little word undoes the PM's claims on greenhouse gases", The Age, 23 December 2008).This provision alone should be enough to scuttle the whole scheme. How can this be "a significant step forward on climate change" when it won't guarantee to cut one tonne of domestic emissions? In fact, what the CPRS is doing is locking in, through legislation, for decades to come, a high-pollution economy dominated by high-pollution industries and brown jobs. ISSUE 4. If the high-polluting nations such as Australia adopted a policy of reducing emissions to 25% below 1990 by 2020 this would likely lead to an international agreement that would stabilise emissions at 450ppm or lower. Here is a case of "if you say something often enough, you'll end up believing it". Too many climate groups and climate scientists have been saying this so long and so often, yet it is so untrue. The 2007 IPCC report found that Kyoto Annex 1 countries would need to reduce their emissions by 25-40% by 2020 for a 450ppm target. Note how everybody has dropped the 40% end of this formulation, as if it never existed. Australia, as the highest per capita polluter of the Annex I members, would certainly be at the 40% end of the range, but this is rarely mentioned. But as I have noted elsewhere the target range of 25-40% by 2020 does NOT include "slow feedbacks" which increase climate sensitivity and require lower targets. Even the IPCC 2007 synthesis report noted that “emissions reductions... might be underestimated due to missing carbon cycle feedbacks” (page 67) and this may require the cumulative emissions budget for the 21st century (the total amount of GHGs than can be emitted for a stabilisation level) to be “about 27% less” than is assumed. 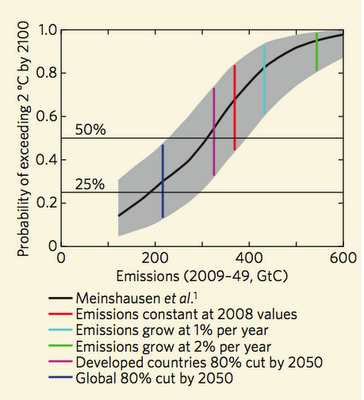 But the 25-40/2020 target and other IPCC emission reduction scenarios do not include this consideration! New research published last week and discussed in more detail here found that to restrict warming to 2C the total carbon budget available to the world is 190 billion tonnes of carbon emissions. Even if the world starting cutting emissions by 2% each year, that budget will run out by 2030 and we need zero emissions from 2030 on to keep to 2 degrees. ISSUE 5. That 450ppm would reasonably limit global warming to 2 degrees. 450ppm has a 4 to 50% probability of exceeding 3 degrees!!!! That is not defensible and I can't understand how any body who works professionally on climate change could ever think for one second that it is a reasonable target to utter in public. What are they thinking? After a careful reassessment of climate sensitivity and climate history data, James Hansen and his co-authors in Target atmosphere CO2: Where should humanity aim concluded that the tipping point for the presence, or absence, of any substantial ice-sheets on Earth is around 450 ppm (plus or minus 100 ppm) of CO2. This means that the CO2 levels often associated with a 2C rise – 450ppm – may just be the tipping point for the total loss of all ice sheets on the planet and a huge sea-level rise. If you are silly enough to want to talk about a 2C target, then to have a 2 in 3 chance of holding to 2C, atmospheric carbon needs to be held to 400ppm CO2e and that requires a global reduction is emissions of 80% by 2050 (over 1990) and negative emissions after 2070. And with high climate sensitivity, a risk-averse target for 2C is around 350ppm CO2e – just to meet a 2C target that is actually dangerous. The big groups know privately that 350 ppm and lower should be the target. 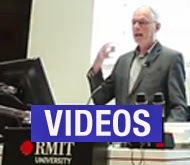 John Connor of the Climate Institute told Crikey recently that the science leads us to 350ppm, and ACF Council has adopted a 350 ppm target, but this has not yet seen the light of day in ACF's public advocacy. ISSUE 6. That 2 degrees is a reasonable target to avoid dangerous climate change. No, it will ensure that climate change is dangerous. A rise of 2C over pre-industrial temperatures will initiate large climate feedbacks in the oceans, on ice-sheets, and on the tundra, taking the Earth well past signiﬁcant tipping points. Likely impacts include large-scale disintegration of the Greenland and West Antarctic ice-sheet; the extinction of an estimated 15– 40 per cent of plant and animal species; dangerous ocean acidiﬁcation; increasing methane release; substantial soil and ocean carbon-cycle feedbacks; and widespread drought and desertiﬁcation in Africa, Australia, Mediterranean Europe, and the western USA. If you don't believe me, read Mark Lynas's book, "Six Degrees". 450ppm is roughly the current greenhouse gas level, and in 2008 two scientists. V. Ramanathan and Y. Feng in On avoiding dangerous anthropogenic interference with the climate system: Formidable challenges ahead found that if greenhouse gases were fixed at their 2005 levels the inferred warming is 2.4˚C (range 1.4˚C to 4.3˚C) and that would be sufficient to result in the loss of Arctic summer sea-ice, the Himalayan–Tibetan glaciers and the Greenland ice-sheet . The loss of Greenland ice sheet produces about a 7-metre global sea-level rise. One conclusion is that advocacy of the 25-40/2020 target, for example by the ACF in its 2008 "Special Places" campaign, will result in the destruction of many of Australia’s “special places” ACF wants to protect; Kakadu, for example, will salinate with a sea-level rise of less than a metre. 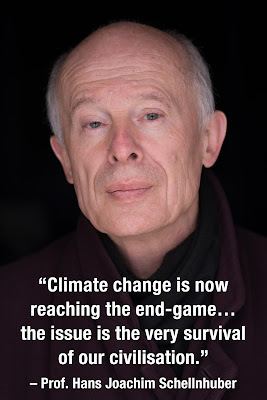 NASA climate science chief James Hansen told the US Congress in testimony last year that: “We have reached a point of planetary emergency… climate is nearing dangerous tipping points. Elements of a perfect storm, a global cataclysm, are assembled… the oft-stated goal to keep global warming less than +2 degrees Celsius is a recipe for global disaster, not salvation.” But ACF says the government announcement of "a target of reducing Australia’s emissions by 25% by 2020 in the context of a Copenhagen agreement that has the effect of stabilising emissions at 450ppm or lower" is a "significant step forward on climate change". ISSUE 7. That if this legislation is passed, it is reasonable to expect that the government will do more and go further than its own legislation. It appears the strategy of the groups who have endorsed the CPRS is to pretend that we don't face a climate crisis that requires emergency action, so they endorse incremental policies and never talk about the elephant in the room. Which is this: we only get one shot at this, and a trial run (read: locking in bad policy for decades) is not an option. Today at just less than 1C of global warming we are witnessing of the destruction of the Arctic ecosystem. Eight million square kilometres of sea ice is disappearing fast each summer and may be entirely gone within a few years. Already 80% by volume of summer sea-ice has been loss, and regional warming of up to 5 degrees Celsius may have already pushed the Greenland ice-sheet (eventual sea-level rise of 7 metres) past its tipping point. Do ACF and the Climate Institute and WWF tell the government this? We know that the present level of greenhouse gases is enough to increase temperatures by more than 2 degrees Celsius over time. We have already gone too far, there is already too much carbon in the air. At less than 1 degrees Celsius we are on the way to triggering a multi-metre sea level rise than will devastate coastal infrastructure, delta peasant–farming communities and some of the world's biggest cities. Our only choice is to head back to zero degrees Celsius of warming, to halt all emissions and drawdown atmospheric carbon to return the planet to a safe-climate zone. Hans Joachim Schellnhuber, Director of the Potsdam Institute and Europe's leading climate scientist, says that “we are on our way to a destabilisation of the world climate that has advanced much further than most people or their governments realise”, so “our survival would very much depend on how well we were able to draw down carbon dioxide to 280 parts per million”, compared to the present level of close to 390 parts per million. One of the great powers of the climate action movement is our capacity to withhold support from, and actively campaign against, actions of governments that are designed to fail, as the CPRS will. Presently there is political denial, even an arrogance of power that leads governments to believe that they can negotiate with the climate and the laws of physics and chemistry, a land of tradeoffs, where climate is just another issue, the politics partisan, the action slow, all embedded in a culture of compromise and failure. Monday 4 May was a great example. It is a tragedy that some should glowingly support such failure. Two new research papers published this week in Nature on emissions targets have been widely reported, including Humanity's carbon budget set at one trillion tonnes, Hit the brakes hard and How The '2 Degrees Celsius Target' Can Be Reached. And the result: if emissions keep growing at the present rate, the carbon emissions budget for the 2 degrees target will run out in 2021! Call that a climate emergency! The two articles (by Allen et al, and Meinshausen et al ) asked the same question: how many more tonnes of carbon can humans pour into the air before a 2-degree temperature increase is the result? A commentary by both sets of authors is The exit strategy . Meinshausen and colleagues (page 1158) take a comprehensive probabilistic approach, combining the uncertainties in climate sensitivity and carbon-cycle feedbacks, and integrating the two over a large range of potential emission pathways. Their target is to avoid a peak global mean warming from the preindustrial level of more than 2C (equivalent to a further rise of about 1.2 C from today). We must note here that there is nothing special about 2C that would make warming of less than this magnitude ‘safe’. It is more analogous to a speed limit on a road, and is a guide to the scale of the problem. With 2 C of global warming (more over land and at the high latitudes), Earth would probably be warmer than it had been in millions of years — a huge change. Meinshausen et al. find that the maximum temperature that Earth will experience to the year 2100 depends most reliably on the total amount of CO2 emitted to the year 2050, rather than on the final stabilized CO2 concentration. Their base-case estimate is that the total emissions from today (2009) to 2050 need to stay below 190 GtC (equivalent to 700 GtCO2; 1 GtC = 1012 kg of carbon) for us to have a good chance (75%) of staying below 2C (Fig. 1). Figure 1: The 2C lottery. The black line shows the probability of the peak global mean temperature exceeding 2C above pre-industrial levels before the year 2100 as a function of the integrated emissions from 2009 to 2049. The graph is adapted from the base case of Meinshausen et al., including uncertainty ranges. Also shown are the cumulative emissions under various scenarios. Red, emissions constant at 2008 values until 2050. Light blue, growth in emissions continues at 1% per year until 2050 and then falls rapidly. Green, growth in emissions continues at 2% per year until 2050 and then falls rapidly. Purple, an 80% cut in emissions by 2050 (linearly applied, starting in 2010) from developed countries only, while developing-country emissions continue to grow at 1% per year. Dark blue, an 80% cut in emissions by 2050 from all countries. And what does a total future carbon emissions budget to 2050 of 190 billion tonnes of carbon mean, when we are presently doing about 10 billion tones a year?? I did some quick figures with three scenarios: emissions keep growing as they have been since 2000 at around 3.5 per cent per year; and emissions are reduced by 2 per cent and 4 per cent a year. And this is based on only a 75% chance of not exceeding 2 degrees! If emissions keep growing at 3.5 per cent a year, then the carbon budget for 2 degrees runs out in 2021. That is, after that time, emissions would need to drop to zero immediately to have a 75 per cent chance of not passing 2 degrees. With a 4 per cent annual reduction in global emissions, it will run out in 2040. And that for a target that will that initiate large climate feedbacks in the oceans, on ice-sheets, and on the tundra, taking the Earth well past signiﬁcant tipping points. Likely impacts include large-scale disintegration of the Greenland and West Antarctic ice-sheet; the extinction of an estimated 15– 40 per cent of plant and animal species; dangerous ocean acidiﬁcation; increasing methane release; substantial soil and ocean carbon-cycle feedbacks; and widespread drought and desertiﬁcation in Africa, Australia, Mediterranean Europe, and the western USA. So even those folks who want a 2-degree target will need to argue for a 4 per cent annual global emissions reduction (and more in Australia) with zero emissions by 2040!! Given Australia's emissions are increasing 2 per cent a year, that would be a 6 per cent turn-round on current practice in this country. That is going to require what we don't have now: transformative leadership and action at emergency speed and depth. We have reached a point of planetary emergency… climate is nearing dangerous tipping points. Elements of a perfect storm, a global cataclysm, are assembled… the oft-stated goal to keep global warming less than +2 degrees Celsius is a recipe for global disaster, not salvation. Q. If you had included in your emission pathways substantially net negative emissions after 2050, the probabilities of exceeding 2°C were lower? A: True, substantially negative emissions post‐2050 would somewhat decrease the peak warming expected during the second half of the 21st century. However, temperature levels in year 2050 could obviously not be reversed. For very low mitigation pathways, 2050 temperature levels are already close to their maximum, so that negative emissions could only influence how quickly temperatures decrease after the peak, but not the temperature peak level itself. Background: In most of the lower emission pathways analyzed in Meinshausen et al., global emissions are only turning to near‐zero levels, with the exception of lower MESSAGE or IMAGE17 scenarios, that exhibit substantial negative emissions by 2100. On the one hand, it is comforting that large net negative emissions could somewhat reduce the probabilities of exceeding 2°C for the medium‐low and high scenarios. On the other hand, large net negative emissions pose an enormous challenge for the involved technologies, and the safety, liability and permanence of stored underground carbon. Furthermore, one technology to achieve net negative emissions, the combination of biomass burning and carbon sequestration and storage, could have large implications to our land use patterns.